The beauty of overhead ceiling tracking hoist systems lies in their ability to be configured and customised to meet individual needs. There are several factors to be balanced when choosing the right one. What should I consider when choosing a hoist? 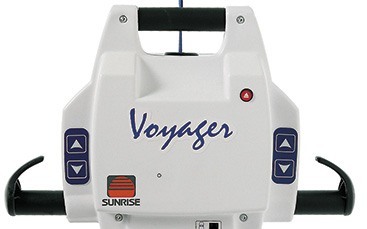 Type of transfer – what other care equipment is involved? 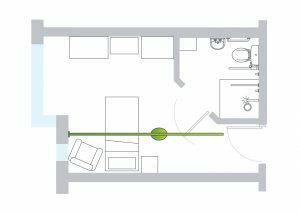 Is a multi-room layout required? User – what is the weight, size and mobility of the user? Environment – is the hoist for a single- or multi-user usage? 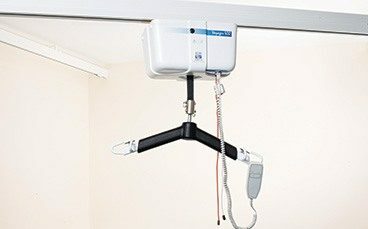 Installation and property type – will the hoist be fixed to the wall or ceiling? What ceiling height is required? 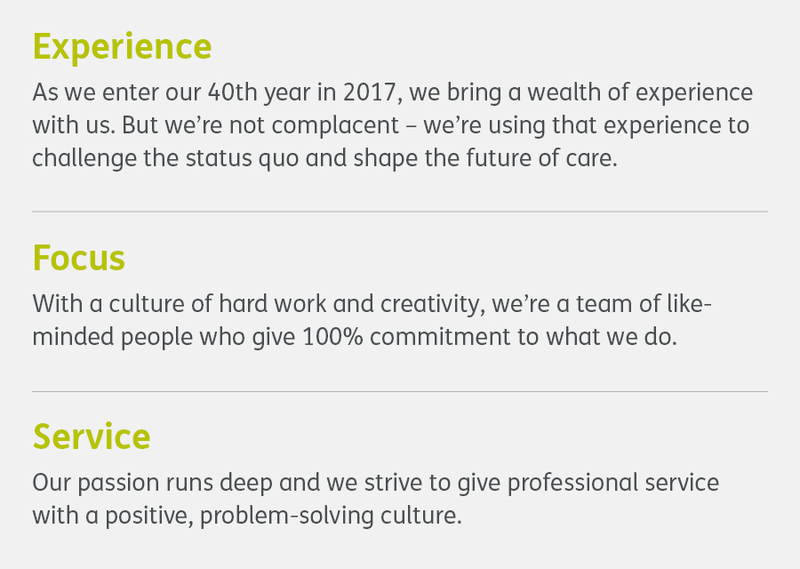 This is where experience matters. Over 40 years, we’ve installed literally thousands of overhead hoists and each and every one is bespoke. 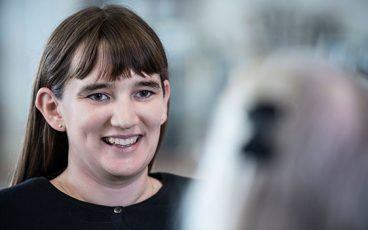 You can be confident we will specify the right solution, whether it’s a single track system in a private home or a large, multi-room new-build project. The only overhead ceiling track hoist without a spreader bar. Automatic charging and a return-to-charge function. Can be used across hoist tracks and rooms thanks to a quick release strap. Spread the cost with our finance options, specially developed for businesses. What can be achieved with a ceiling track hoist? 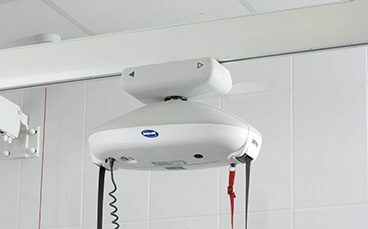 Overhead ceiling track hoists are incredibly versatile, both in the care needs they can meet and the care environments they can be used in, including private homes, care homes, hospitals, schools, leisure facilities and hygiene rooms. 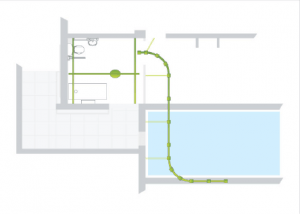 The illustrations below demonstrate the flexibility of ceiling hoist tracking. 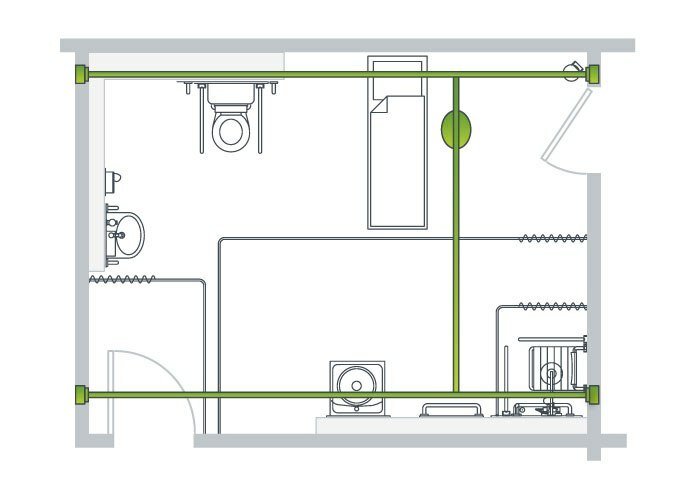 A straight track can be used to transfer a patient from point A to point B, for example from a wheelchair to the toilet, while track bends and turntables can be installed to reach precise pickup points. An XY track, or H track, system is the most adaptable, having a sliding transfer track mounted on two parallel tracks, which enables a patient to be picked up from virtually any point in the room. Overhead hoist track can also be taken through doorways, for example to allow transfers between a bedroom and bathroom. In many situations, the track can be recessed into the ceiling if preferred, creating an extremely neat and unobtrusive finish to the installation. 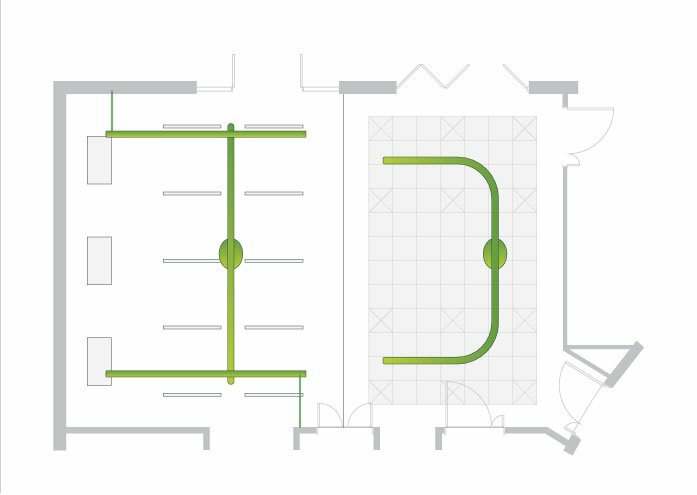 This is ideally implemented during a refurbishment or new-build project to allow for full integration with the fabric of the property. What are the benefits of a ceiling track hoist? Floor-standing mobile hoists need manoeuvring into position to perform a transfer (a potential issue on carpeted or uneven floors) and require dedicated storage facilities when not in use. By comparison, an overhead ceiling track hoist, positioned unobtrusively above waiting for use, is more convenient and less obstructive. Overhead hoists provide greater range of movement, making it easier for patient transfers and positioning. Overhead hoists can be used in areas where there is insufficient space to manoeuvre a mobile hoist. Transfers using overhead equipment can usually be achieved by one care giver. The capability for users to participate more fully will promote confidence and independence. Working with overhead hoists is easier, minimising the risk of back injury for the care giver.